Smartphones are great—except when they don't work right. Google aims to make sure that doesn't happen as often with the new Device Assist app for Nexus, GPE, and Android One devices running Lollipop. Just open the app and it can (maybe) tell you what's wrong. The main screen in Device Assist (which is code named Cavalry) detects possible issues with your device that may hinder the experience. 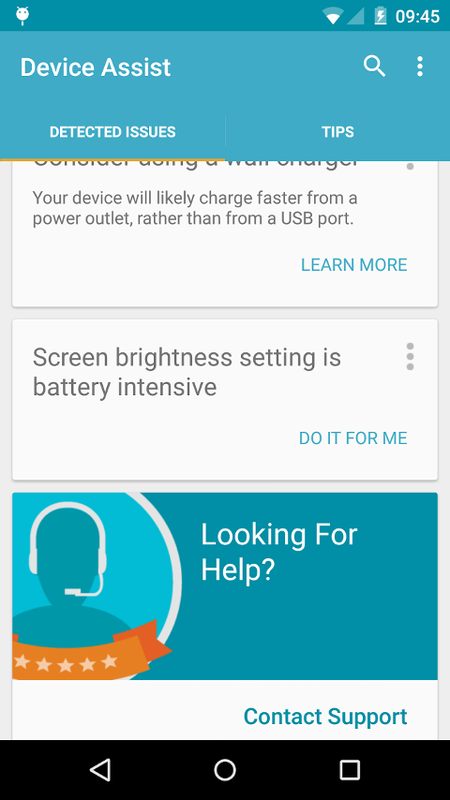 For example, charging with a slower adapter or screen brightness that isn't battery-friendly. It doesn't offer any really deep information, though. It's more general stuff. 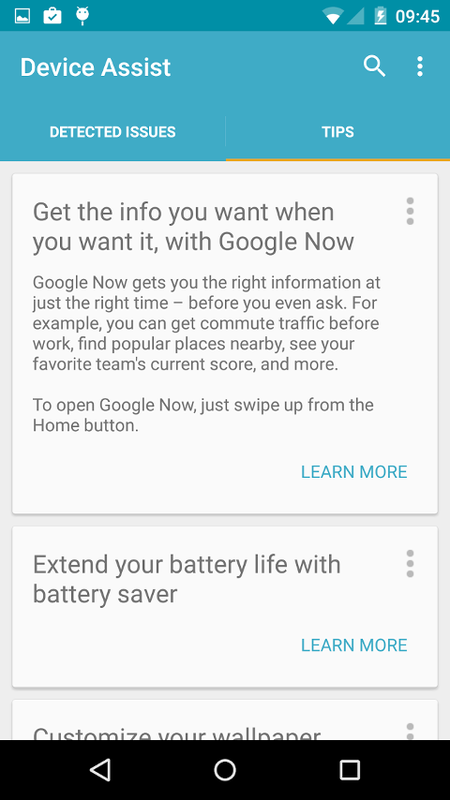 There's also a tips section that suggests features you might want to use on your device. 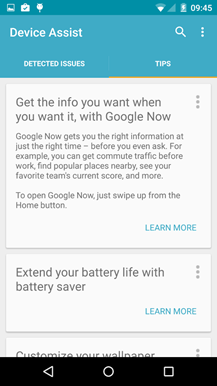 Nexus and Google Play Edition devices can also access support from the app as well. 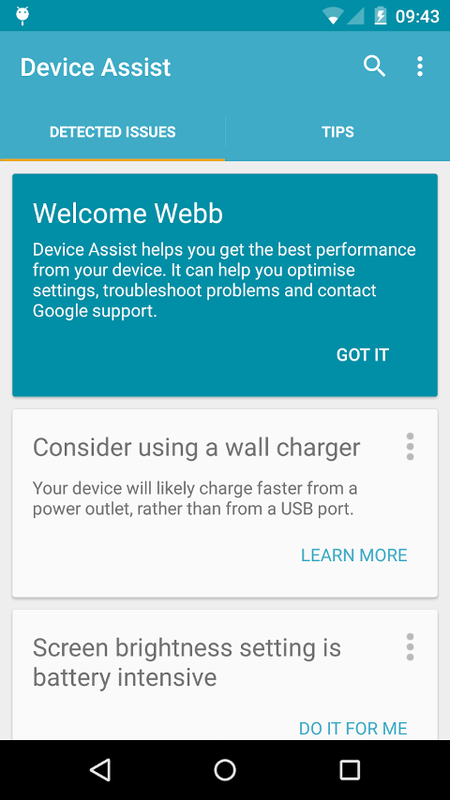 The app can send device diagnostics to Google support, then allow you to request a callback like you would on the web. It's a fairly limited app right now, but it could be quite useful in the future if Google can detect more subtle issues and explain them in plain English. Note, it's US-only, but we've got an APK below. 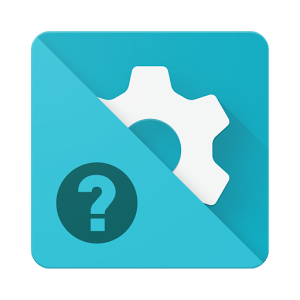 Version: 81089711 (21) (Android 5.0+).